We are a locally owned catering and festival food company serving the panhandle of Florida since 2006. If you are planning for an event and want to impress your guests with home-style comfort food give us a call today! Had the opportunity to try Angel's BBQ & Catering today at the Crawdad Festival in Ozark. I was very pleased with the BBQ plate, Mac~N~Cheese, and baked beans. Everyone was friendly and we were "cuzins" when I left! Will definately try it again if I'm in the area. Awesome taste! Loved the pork and chicken along with smothered smocked potatoes! Yum!!!!!! 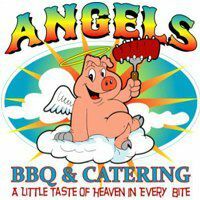 This is the best BBQ in town!! Maybe the best I've ever had. Been enjoying it at Friday Fest and The Fest. Check them out! You won't be disappointed! !